A festive Mexican Christmas celebration we’re hosting this year to share our culture and traditions with all of you! PS: There will be a piñata… Get tickets here. 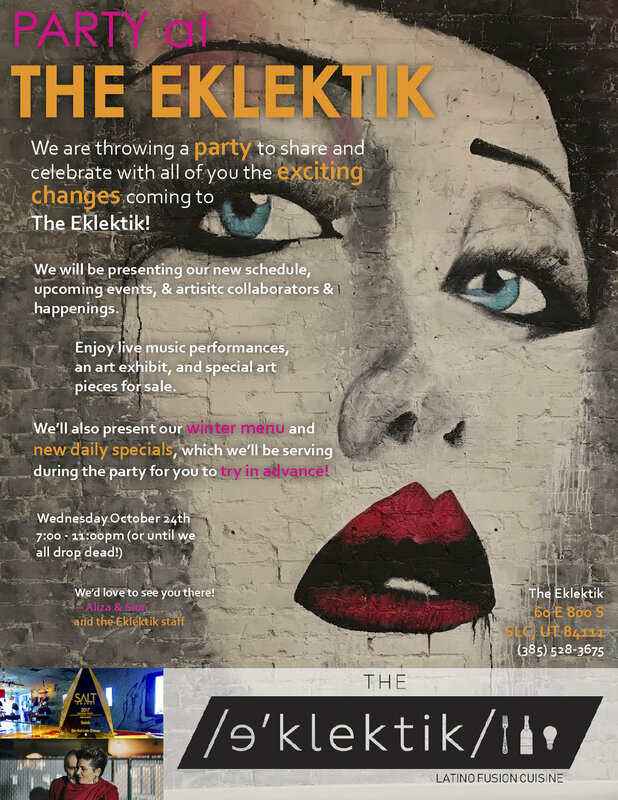 We are throwing a party to share and celebrate with all of you the exciting changes coming to The Eklektik! We will be presenting our new schedule, upcoming events and artistic collaborators and happenings. Enjoy live music performances, an art exhibit, and special art pieces for sale. We’ll also present our winter menu and new daily specials, which we’ll be serving during the party for you to try in advance! No cover charge and no reservation required. We hope we’ll see you there!